Miles Away is a short video documentary taking the viewer into the heart of the Shoton Festival, Lhasa, Tibet. 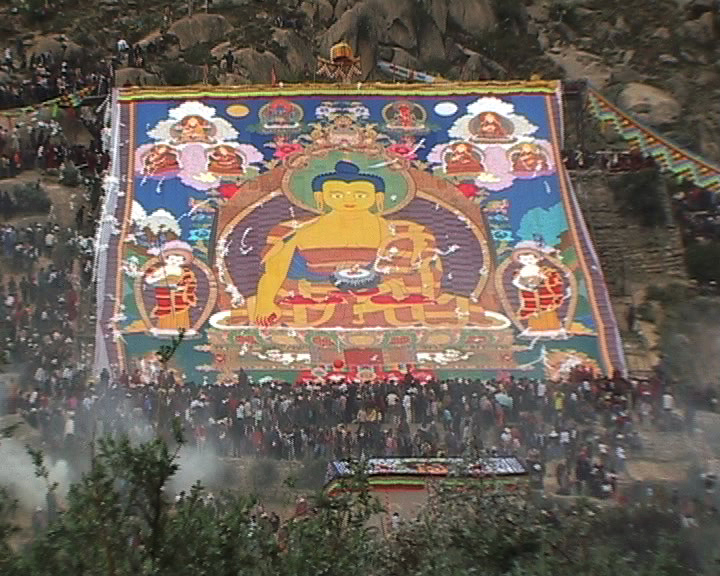 Shot by Nick Cope in 2005, the Shoton Festival held each year is a Tibetan Buddhist Festival featuring the annual unveiling of a huge embroidery of Buddha on the mountainside next to Drepung Monastery. It is a major festival for the Tibetan community to celebrate their culture and identity. Edited to a soundtrack by musician Phil Thornton, Miles Away seeks to give the audience a taste of the experience of being present at this unique occasion, through use of observational documentary camera style and unfolding sequential edit as the filmmaker progresses through the festival itself. 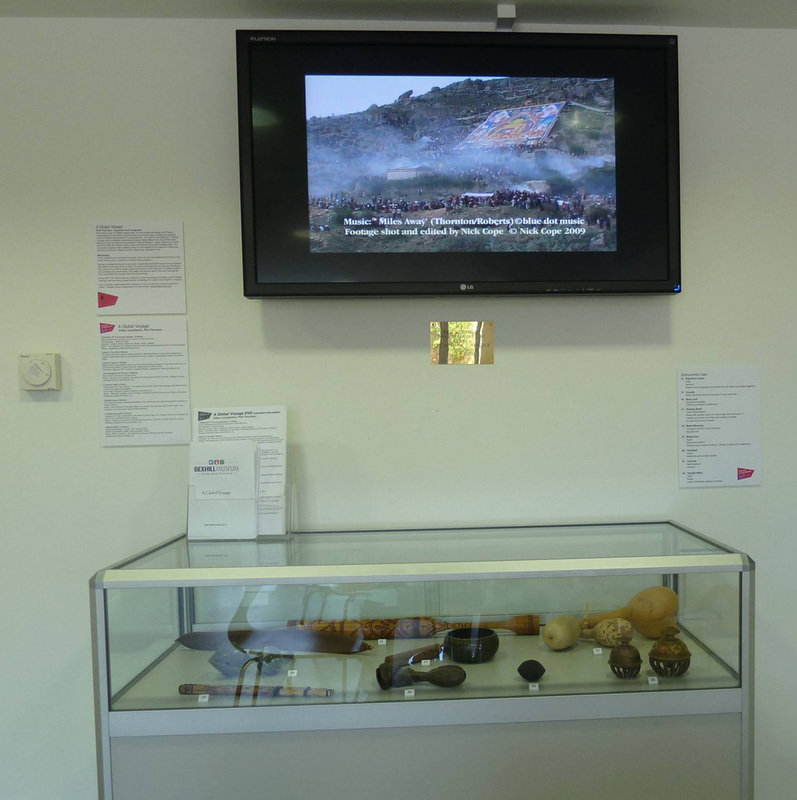 Featured in video installation/screening as part of the exhibition ‘A Global Gathering’, Bexhill Museum, East Sussex, June – September 2012, and published on DVD: ‘A Global Voyage: A video compilation from the Stories of the World programme, an official part of the Cultural Olympiad for the London 2012 Olympic Games’, Brighton and Hove Museums, August 2012. Selected for Tricycle Magazine’s BuddhaFest online film festival short film showcase, June 2011. See; http://www.tricycle.com/short-films, and http://www.tricycle.com/short-films/miles-away. Selected for Spirit Enlightened online film festival, December 2011. http://www.cultureunplugged.com/documentary/watch-online/play/2893/Miles-Away.